NET WT. 1 OZ. / 28.35 ML. Our high-performance PRE-SHAVE OIL & BEARD CONDITIONER protects your skin from redness, razor burn and flare-ups with a proprietary blend of essential oils. From the blade-glide enhancing macadamia glycerides to the moisturizing antioxidant squalene oil, and vitamin E antioxidant. Unsurpassed protection resulting in an ultra-close shave. 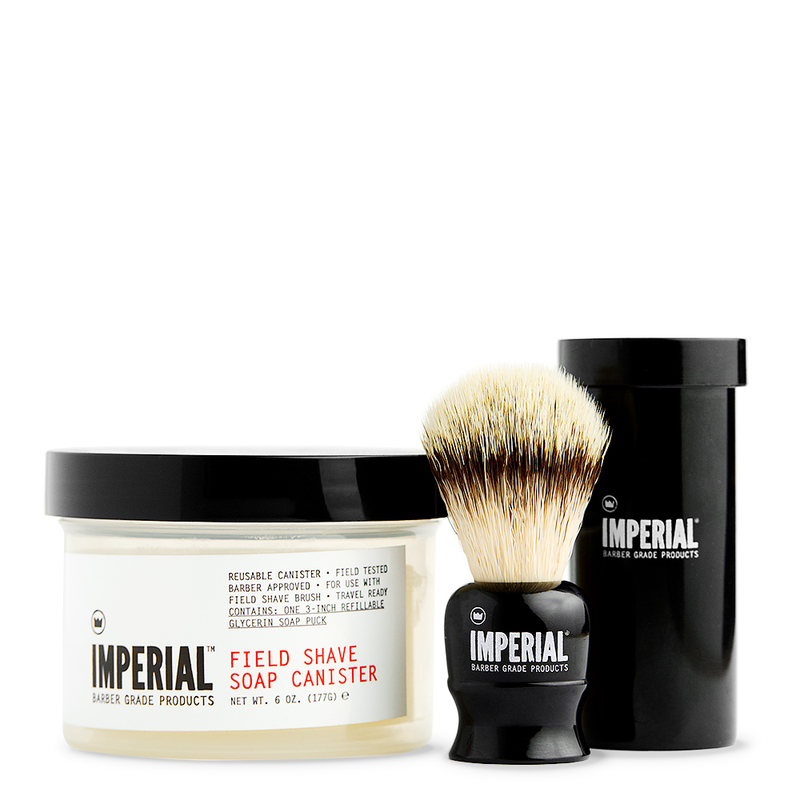 Used by barbers before straight razor shave treatments with hot towels to soften the beard before applying shave cream. 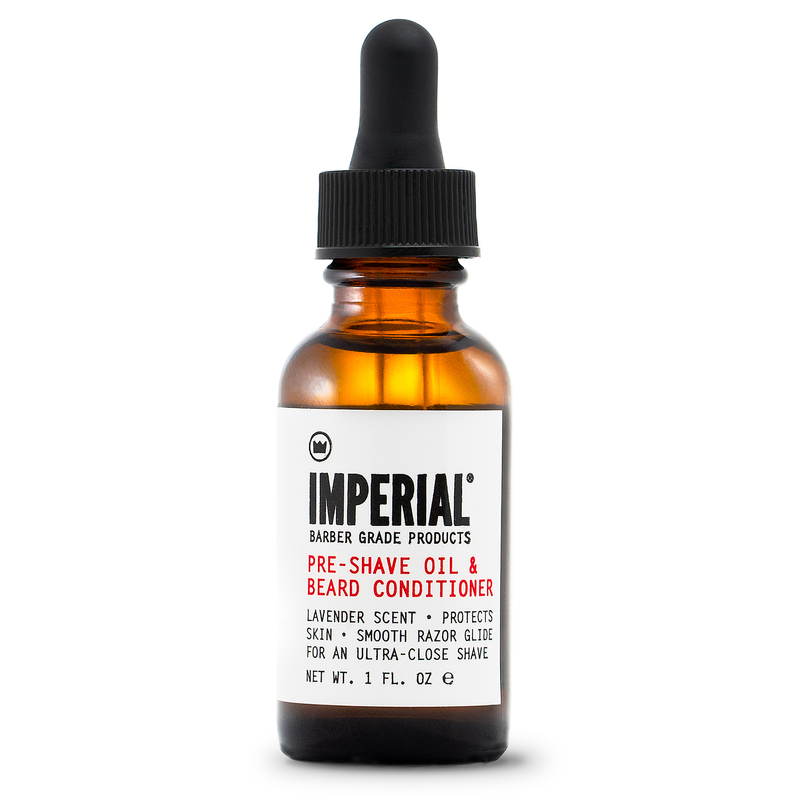 Our at-home customers can massage a few drops of PRE-SHAVE OIL & BEARD CONDITIONER on their beards and shave instantly. This product offers enough protection that it can also be used on its own – no additional shave creams required. Our PRE-SHAVE OIL & BEARD CONDITIONER also conditions hair. Whether you have a full head of hair or a full-grown beard, keep your hair feeling soft and healthy with a couple drops daily. This product applies smoothly and provides a calming Bulgarian lavender scent that creates a masculine aroma. 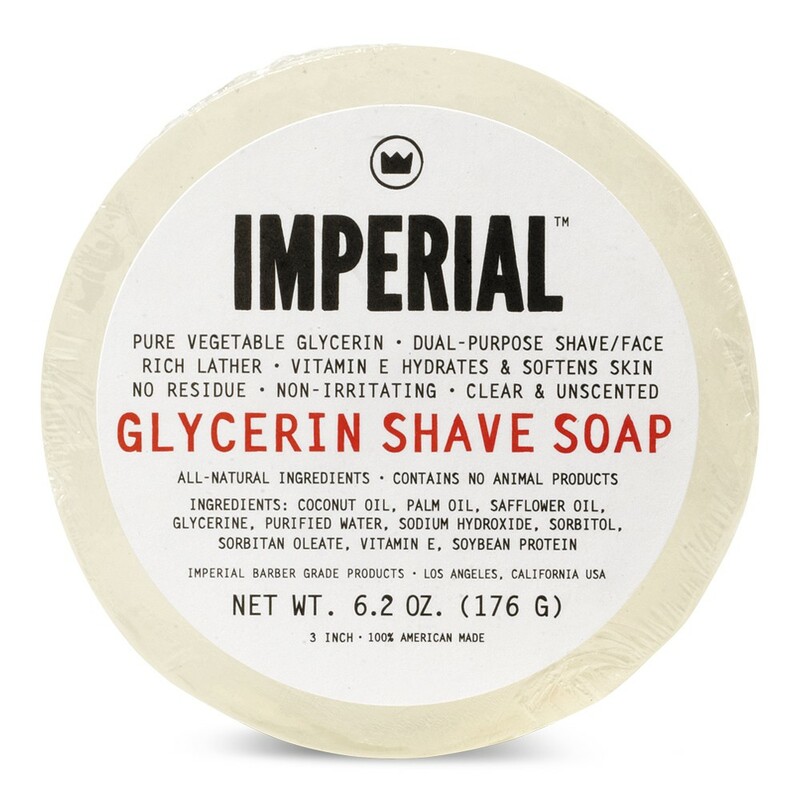 Add a couple drops to your FIELD SHAVE SOAP CANISTER or GLYCERIN SHAVE SOAP before lathering up and enjoy the convenience and benefits of both in one. 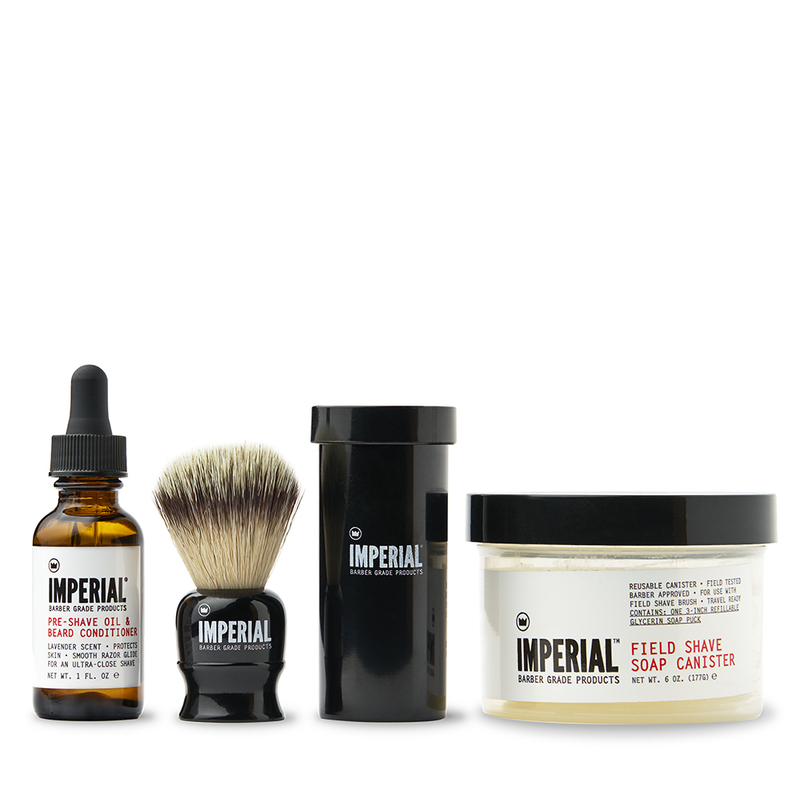 Complete your shave regimen with our SHAVE BUNDLE and our AFTER-SHAVE BALM/FACE MOISTURIZER. 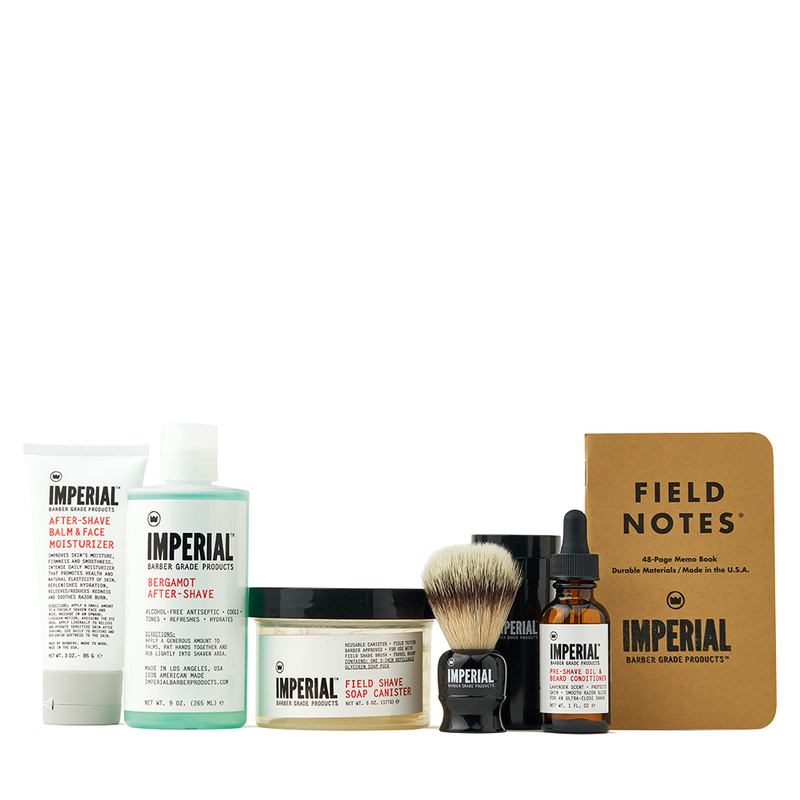 Available as part of THE SMOOTH SHAVE SET and DELUXE FIELD SHAVE KIT.